President Peter Mutharika has warned that he will not tolerate anyone engaging in corruption whether in government or not, pledging he will support the fight against corruption in its totality. Mutharika was speaking at police headquarters in Lilongwe on Monday when he officially received 100 police vehicles from the People’s Republic of China. 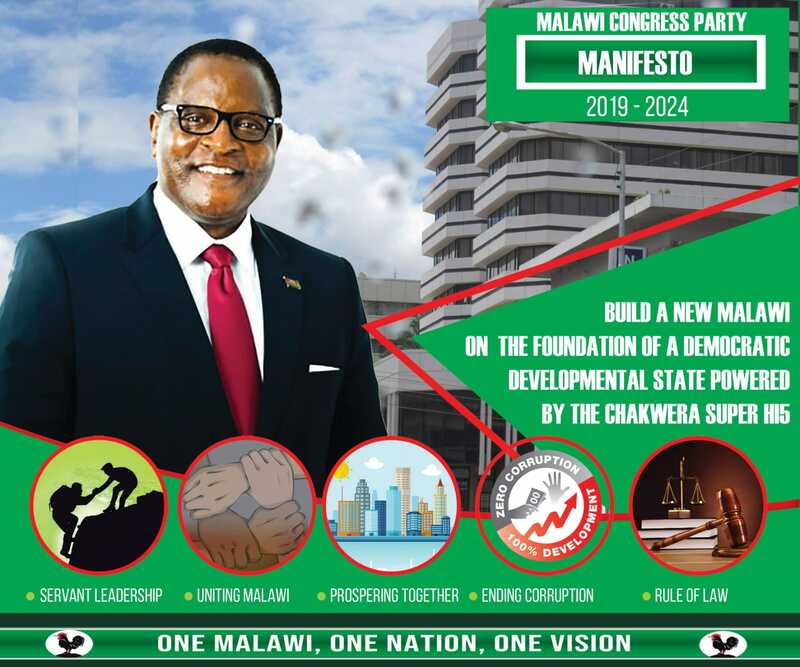 The Malawi leadearsaid he is tired of reports of corruption especially involving those handling government projects and called for care and fair distribution of the vehicles; 10 minibuses, 60 pickups, 15 saloon and 10 wagons. “Police cannot function without efficient transport. I urge the Inspector General of police to make sure these vehicles are taken good care of and distributed fairly. I do not want any corruption in this; neither must I hear that the vehicles have been sold out dubiously. “I am tired of corruption in this country. If I happen to catch such corrupt individuals, I will deal with them. Every project we are carrying out in this country, some selfish individuals want to get something out of it. That must stop,” he warned. Mutharika said corruption cannot be fought successfully without the involvement of the general public. The remarks comes after Malawi development partners say the country continues to be significantly more corrupt and have urged the government to step up efforts to fight against corrupt gangsters in the corridors of power. Heads of Mission of Britain, United States of America, Ireland, Germany, Norway, Japan, European Union and Union Nations gave a candid assessment of the fight against corruption in a statement to mark UN-designated International Anti-Corruption Day on December 9. The donors pointed out that corruption is a barrier to poverty reduction – diverting scarce resources away from healthcare, schools and water provision. It affects critical capital investments, like roads and power generation. Corruption is a disincentive for private sector investment, economic growth and jobs. “ We recognise that the Malawian Government has made efforts such as improvements in public finance management, laws on Access to Information, Financial Crimes and, recently, Political Parties. Effective implementation of these laws is critical, now,” said the statement. The development partners said “further reforms” are also needed. They noted that indicators on corruption still show “a negative trend” and there are continuous reports of fraud, often related to procurement. Graft-busting body Anti-Corruption Bureau (ACB) must be able to pursue all cases without “undue influence”, the statement said. “ Tackling corruption requires a concerted effort: all public institutions need to ensure strong controls are in place and that civil servants are held to account,” the statement said. “ The Procurement Act should be put into practice as a priority, including merit-based recruitment of staff of the new Public Procurement Authority. All accountability institutions should be adequately resourced to fulfil their mandate effectively,” they urged. Meanwhile, Mutharika hailed China for the support it has rendered to Malawi in the ten years of diplomatic relationship. The support from China is not tied to conditions of good governance and tenents of democracy unlike the West. Bodzatu ili a Prince of Thieves. You have the power to stop these thieving ministers and civil servants. Muhara is making headlines but as a Prince of thieves you are quiet. Now you are talking your excellency! You are tired today but we got tired longtime ago…since 1994 but more so since your late brothers rule! The million dollar question is what you got to do with it? Here is my suggestion…strat with the 577 billion Kwacha cashgate! Arrest the 7 ministers involved. Then we will know…that you are really tired of corruption!!! Udya chani ngati watopa? Tangotenga ka holiday pang’ono kuti ubwere ndi mphamvu zina titakate pa tauni pano. ZOONA BWANA MUKUNGOMVA CHABE KUTI KULI CORRUPTION KU MALAWI. TANGOVULANI TINTEDIYO MUONA BWINOBWINO NYASI ZENIZENI ZA CORRUPTION ZAKUZUNGULIRANIZO. NANKUNUNKHAYU ZOONA SAKUDZIMVA? Hii AMALAWI TILI PAMOTO NDI BOMA LIMENELI. There is no political will to fight against corruption in this country because those in govt are hugely benefiting from it. No wonder it’s only cheap talk no real actions to show their seriousness on combating this evil. How can you win this battle whie you are shielding those rotten ministers in your cabinet? 2019 is just around the corner and I bet you Malawians are determined to remove this stench once and for all. AMALAWI NDIIFE TATOPA NDI CORRUPT GOVERNMENT. OK TIONANA MU MAY 2019. I dont think Malawians Will stop corruption. Everyone want to be rich withiout work hard. There is lack of every Malawian. As long they are not convicted corruption Will remain a parasite of Malawi development. Koma , are u serious. Good all Gon de we says he cannot be removed from holdin the purse. He knows what he is talking about. He know’s he is untouchable or else all will be exposed. If you see a monkey carrying a bag of bananas makes you wonder how is in its stomach! Hahahahaha! meaning he has hammered a lot! Seriously?? Mr Muhara is renovating his office space to a tune of MK64 million and you haven’t said a thing!……… Talk is cheap Bwana , there is corruption right under your nose and you haven’t caught anyone yet?